It started with a bus crash. 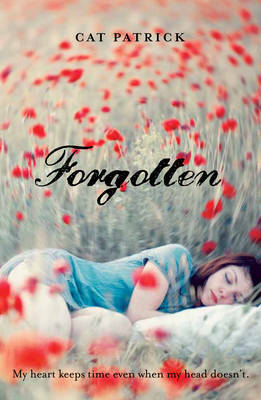 Daisy Appleby was a little girl when it happened, and she barely remembers the accident or being brought back to life. 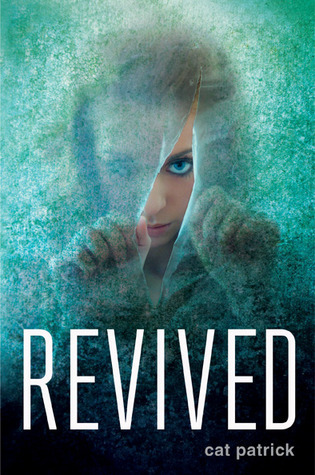 At that moment, though, she became one of the first subjects in a covert government program that tests a drug called Revive. Now fifteen, Daisy has died and been Revived five times. Each death means a new name, a new city, a new identity. The only constant in Daisy's life is constant change. Then Daisy meets Matt and Audrey McKean, charismatic siblings who quickly become her first real friends. But if she's ever to have a normal life, Daisy must escape from an experiment that's much larger--and more sinister--than she ever imagined. 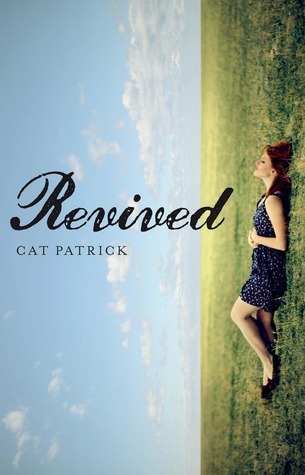 From its striking first chapter to its emotionally charged ending, Cat Patrick's Revived is a riveting story about what happens when life and death collide. 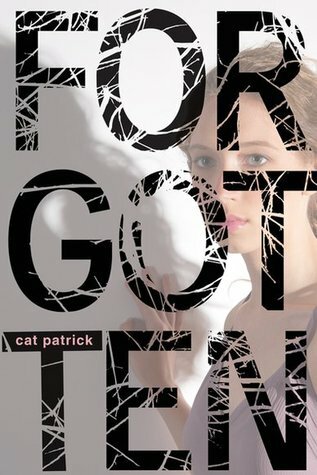 Last Week on FFO: As I stated above, we took a look at another of Cat Patrick's books, Forgotten. Each got votes, and it was actually a pretty tight race, but in the end, people preferred the first and second covers most (which I find funny, as the first was what got the book added to my wishlist, and the second was the cover I bought!). I see what you mean about the significance of the US cover... But I'm so in love with the second one! I would probably hang that on my wall. I like the first and second covers a lot, but it sounds like the first (US) cover is the most apropos. The second cover is visually gripping (I got vertigo, looking at it) and would compel me to pick it up....but doesn't sound as applicable to the story, aside from providing an odd perspective. All that to say, I like the U.S. cover best. It's cool and stands out as an individual. Hmm, I quite like the ANZ cover because of it's unique positioning, but I have to agree with you that the US cover fits the story best. All of these covers give off very different vibes, but which one would I most likely pick up browsing in a bookstore? The US one.